DUBAI: Pakistan head coach Mickey Arthur admitted Australia will be a "dangerous" proposition in the second Test after they clung on for an improbable draw in a thrilling series opener in Dubai. Australia put up a remarkable fightback to deny Pakistan victory on a wearing fifth day pitch, as they avoided defeat by holding on with just two wickets remaining. 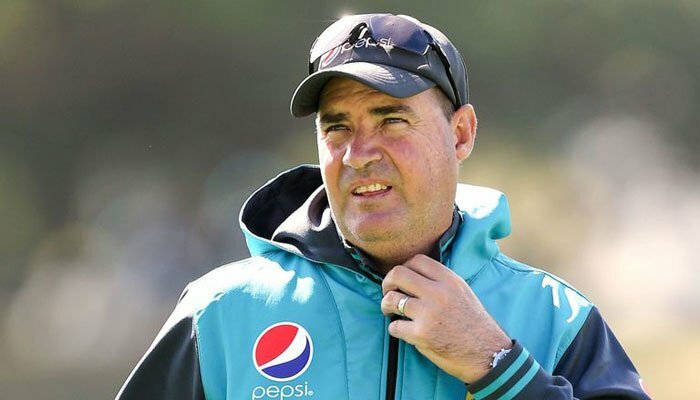 Arthur, who took the Pakistan job in May 2016, told AFP his team will be ready for a reinvigorated Australia in Abu Dhabi come the start of the second match on Tuesday. "Of course Australia will be dangerous after the fight they put up, no doubt about that," said Arthur. "But I am confident that we are playing good enough cricket and we will come harder." "For me it was really disappointing that we did not cross the line," he said. "But the good thing for us is that it has hurt the players as if we have lost and that for me is a good sign. "It shows that the boys are getting mentally tough and maturing and do not settle for second best any more, and that culture we want to create is getting through to our players and we will be raring to go in the second Test." "We certainly got some good runs in the first innings, golden runs as there were some good knocks. We then bowled well in the first innings but not very good in the second innings on a fifth day pitch," said Arthur, who praised Australia´s battling display. "I think we have got to hand it to them, on a day five wicket with Yasir Shah and Abbas -- two world class bowlers in your attack -- we backed ourselves to win the Test. "We can win nine times out of ten on a fifth day pitch but Khawaja played exceptionally well and Tim Paine played pretty well too and took away the game." Arthur conceded skipper Sarfraz Ahmed should have started with Abbas on the fifth morning, after the seamer jolted Australia with three wickets the evening before. "I told Sarfraz that we should have gone with Abbas and Yasir but he had spoken to some senior players and they told him to bowl with Wahab Riaz. "The reasoning they gave was that Wahab was supposed to bring that reverse swing into play and that there were some patches, but I think our best bowlers (Yasir and Abbas) should have been bowling early on," said Arthur. "Imam has been batting very well so it´s a loss," said Arthur of Imam, who scored 76 and 48 in Dubai. "But that gives an opportunity to another player to show his talent."